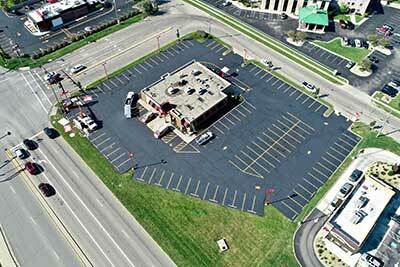 Houck Asphalt Maintenance is an experienced company and will deliver a superior parking lot project every time. Parking lot repair is simplified with up-to-date equipment and highly trained professionals managing the project. The goal is to repair each parking lot from start to finish and leave a happy client every single time. We at Houck deliver clear communication with each initial consultation. 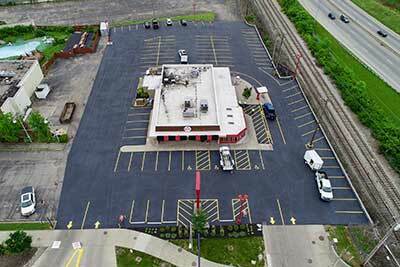 Every parking lot project can be a superior project when the professionals at Houck Asphalt handle the repairs. If your parking lot is in need of parking lot repair, you will be glad to obtain an estimate from our experienced company. You will appreciate superior workmanship and reasonable rates for each and every asphalt repair project. Solutions for every parking lot come with comparable prices for all of your parking lot repair needs. Houck Asphalt Maintenance will be glad to provide a clear and concise estimate for your parking lot repair request. Every parking lot must be maintained and well-kept. A parking lot repair project will rejuvenate a parking lot while ensuring that safety is a top priority. Maintaining your parking lot is also viewed as preventative maintenance and may involve some remediation. Cracking and raveling may leave a parking lot unsafe and can dull the entire appearance. The parking lot repairs benefits are numerous when quality craftsmanship is provided. A commercial or residential asphalt repair project will be an investment worth your investment. The entire appearance of a parking lot will be enhanced with a parking lot repair project. Safety will be 100 percent restored. Cracks and potholes will be eliminated with a parking lot repair project. 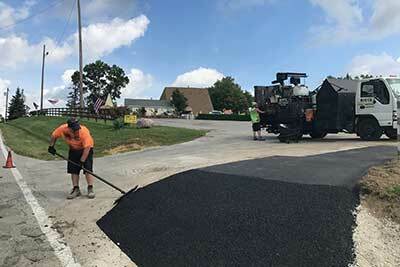 Raising the value of a business will be included when Houck Asphalt performs the parking lot repair. A parking lot repair is an investment of curb appeal and safety of your customers. The outcome will provide you with a beautiful parking lot. Every parking lot repair job will end with smooth, safe, and clear guidelines for the business owner and the customer.Safety and a beautiful appearance will be two of the core benefits of a parking lot repair project performed by Houck Asphalt. A parking lot repair project will offer numerous cost-effective benefits that will save you money in the long run. Avoid many future problems by repairing parking lots now. Houck Asphalt Maintenance will be happy to offer a guarantee for all parking lot repair jobs completed. A fine reputation just can't be beat. A one-year guarantee will ensure 100 percent satisfaction. A company that values each customer takes parking lot repair very seriously. Expect prompt service from friendly and credible professions who guarantee all work completed. Working together keeps everyone happy. This is guaranteed. Houck Asphalt Maintenance has many years of experience to offer. We are a professional business that is more than qualified to provide each customer with superior results. High quality services will leave every customer feeling confident. Anyone can trust a company that has been serving their community since 1989. Experience will come from qualified professionals who are proud to outperform the competition. Transparency, credibility, and a clear focus are offered from an experienced business that is qualified to deliver exceptional results to every customer. Contact us today for all of your parking lot repair needs.